Annie Dillard is one of my favorite writers. Her Pilgrim at Tinker Creek is a wonder of exuberant prose. If you’ve ever read anything by Dillard — especially her early stuff — you’ll agree that she lives by these words. My only objection is what seems like false humility. Ms. Dillard certainly knows more than a “few things” about writing. Care to discuss what she means by this? I’d love to talk about it in the comment section below! 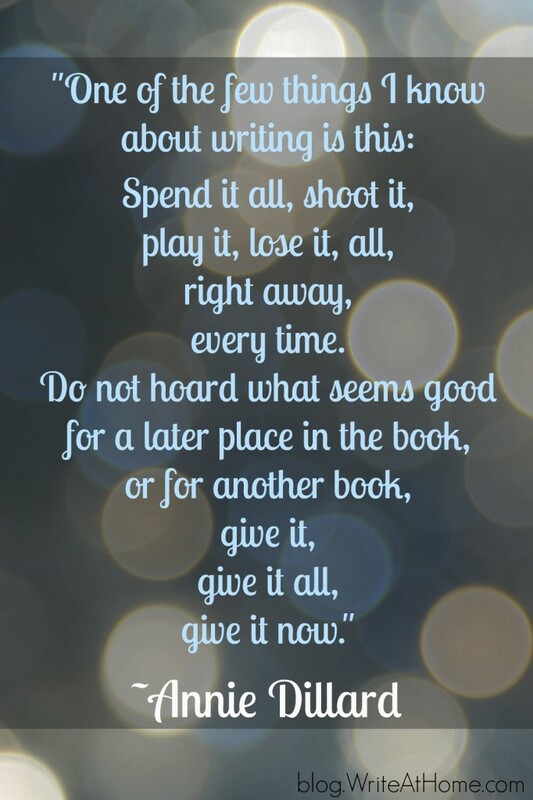 Dillard is one of my husband’s all-time favorite writers, and this is one of his all-time favorite quotes about writing. Thanks for sharing.